J.L. Bourne is a commissioned military officer and acclaimed author of the horror series Day by Day Armageddon, and the dystopian thriller, Tomorrow War. With twenty years of active military and intelligence community service behind him, J.L. brands a realistic and unique style of fiction. He lives on the Gulf Coast but is sometimes spotted toting a rifle and a Bowie knife in the rural hills of Arkansas where he grew up. Visit him at JLBourne.com before the grid goes dark. 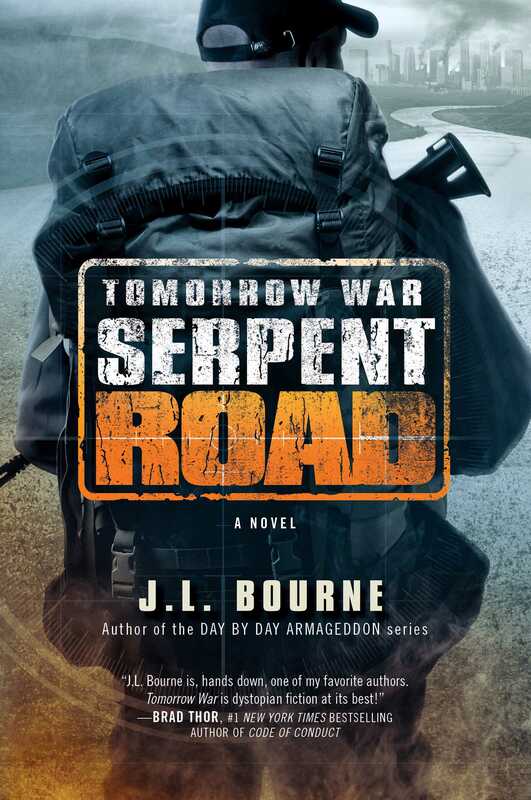 "Fans of near-future dystopian fiction in which isolated warriors fight against a tyrannical U.S. government will welcome Bourne's exciting sequel to Tomorrow War....For readers into this subgenre, this will go down as smoothly as a cold beer on a hot day." "J.L. Bourne is, hands down, one of my favorite authors. Tomorrow War is dystopian fiction at its best! This book is so real, it scared the hell out me. Read it today and pray to God it doesn't come true tomorrow." "A nonstop action thriller that explores the dark side of 'what if our entire digital and economic grid collapsed.' An unforgettable novel."